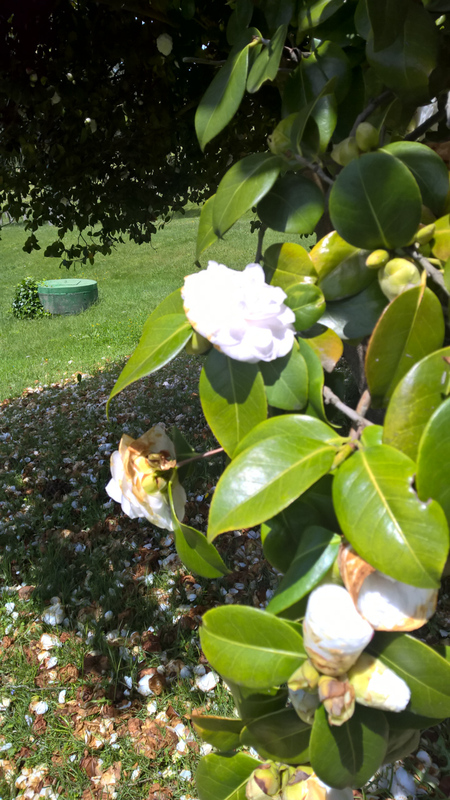 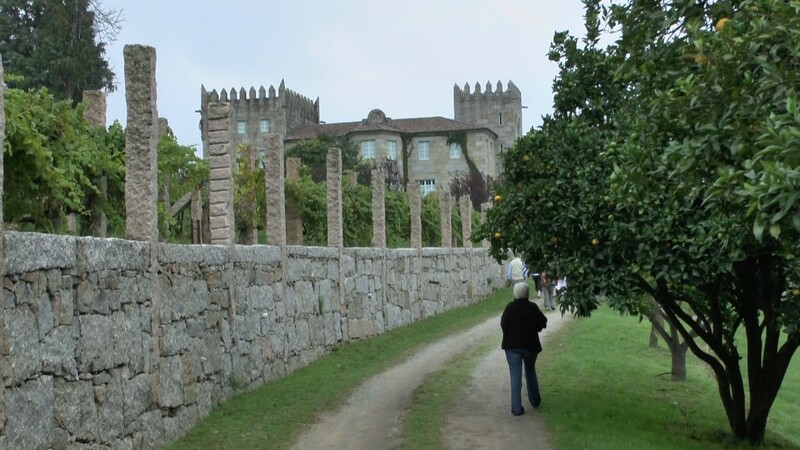 Sometimes good weather does not accompany you when travelling, well that was the case today when we left from Santiago de Compostela heading towards the Rias Baixas Coast as the rain poured down. 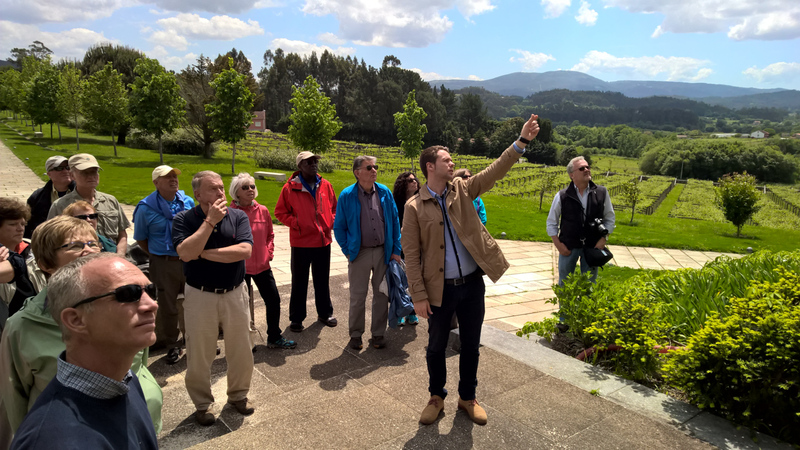 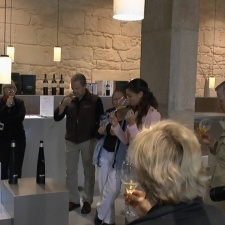 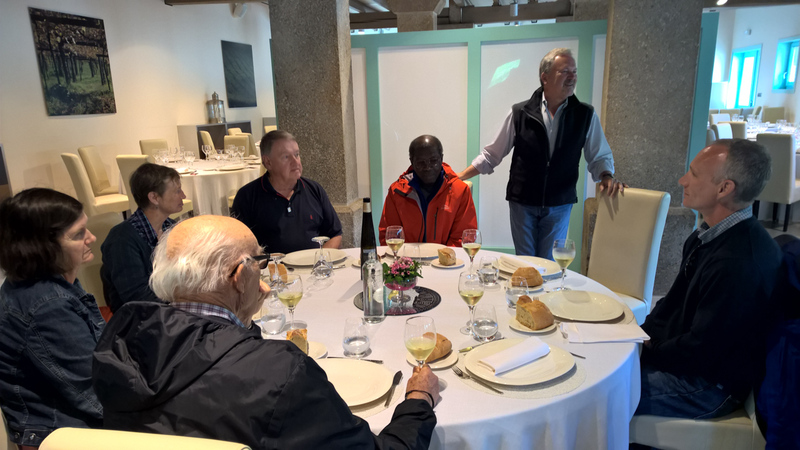 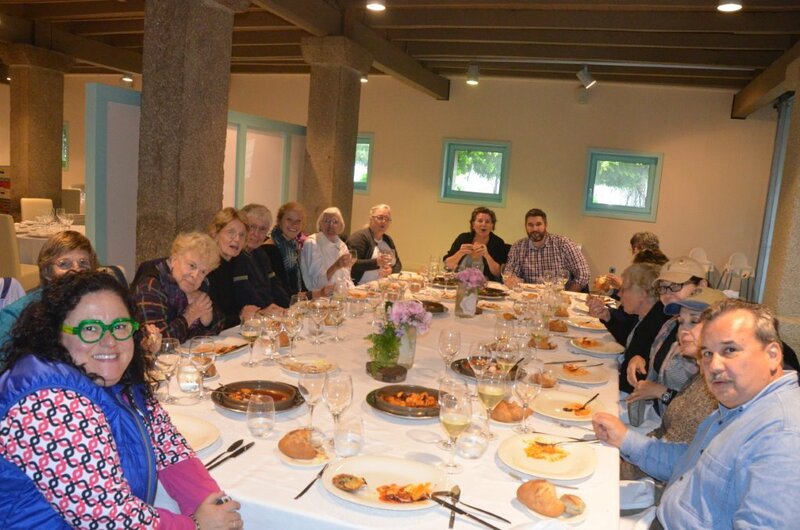 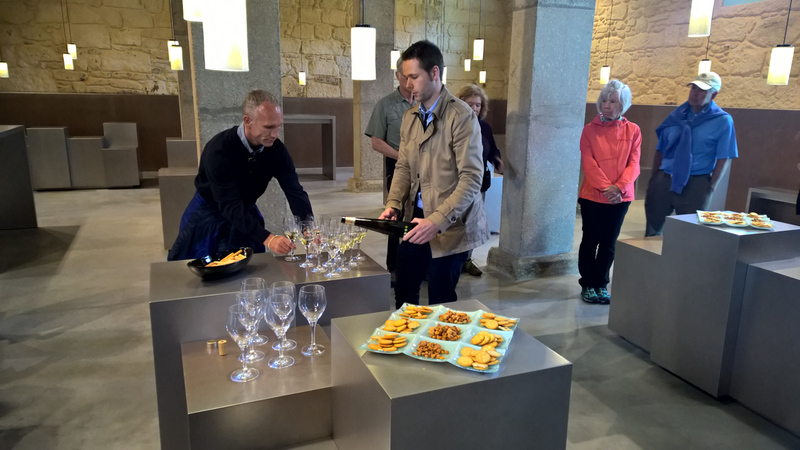 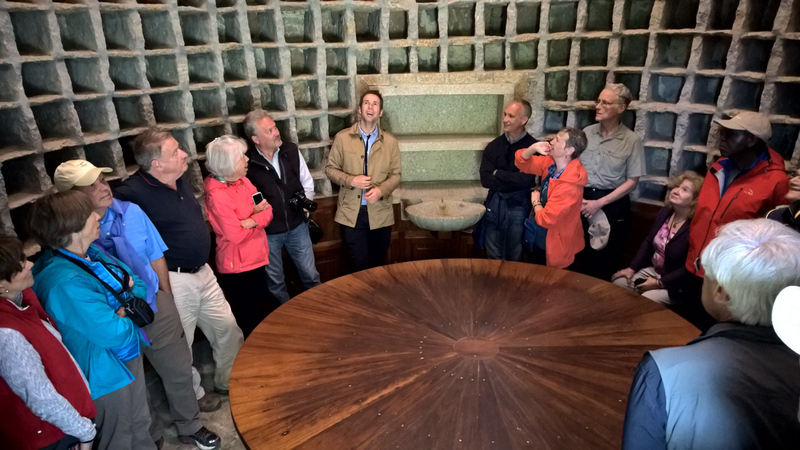 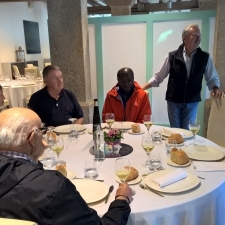 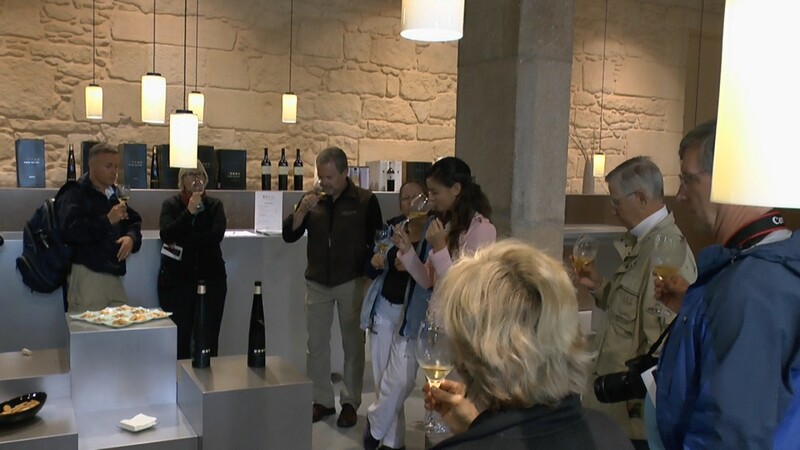 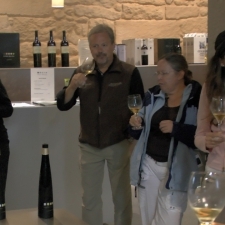 But that didn’t put a damper on our day as we had set up a very special VIP group wine tasting and gourmet lunch at the fabulous Albariño winery Pazo Baion. 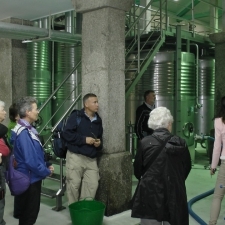 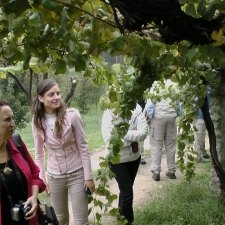 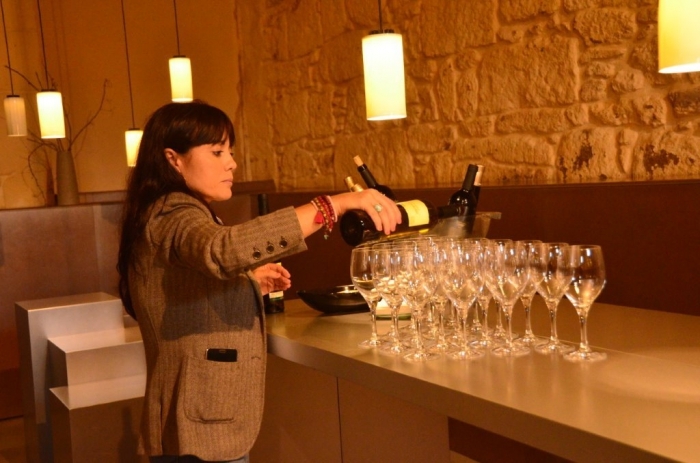 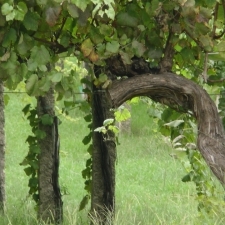 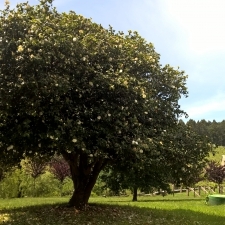 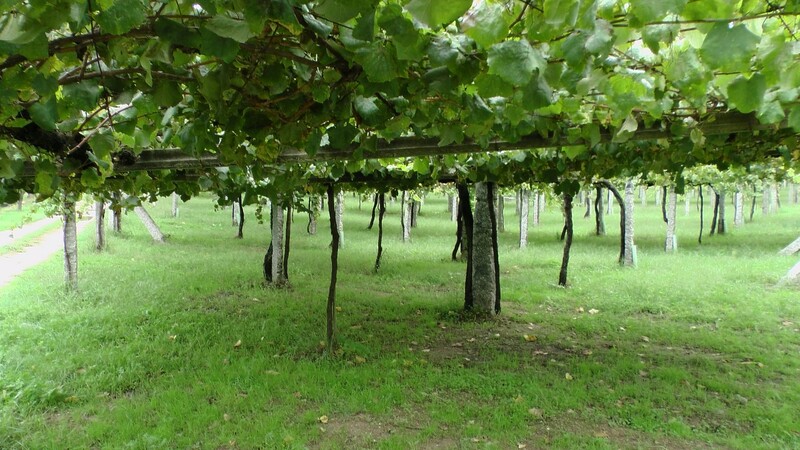 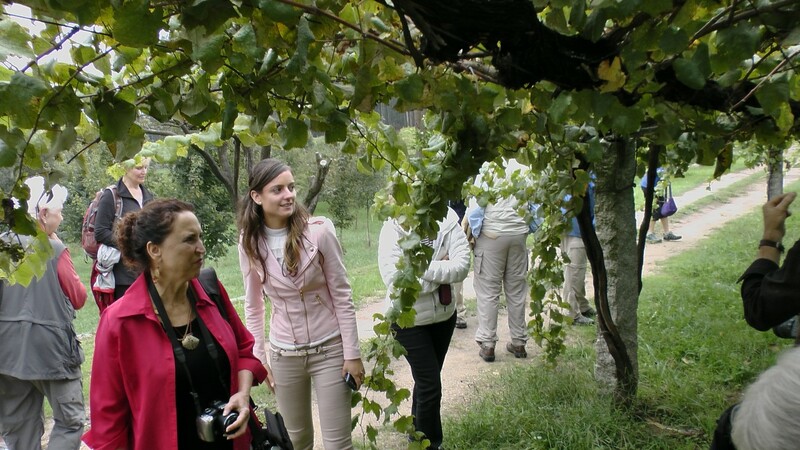 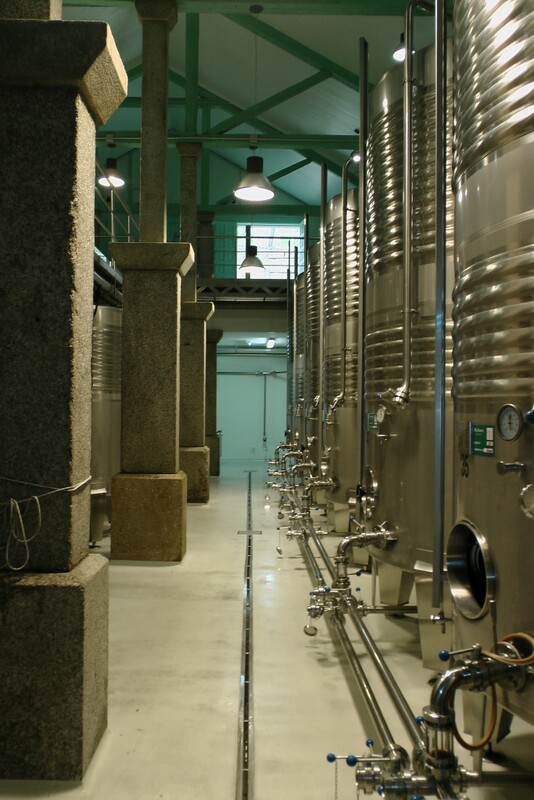 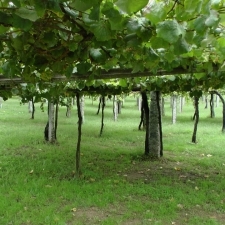 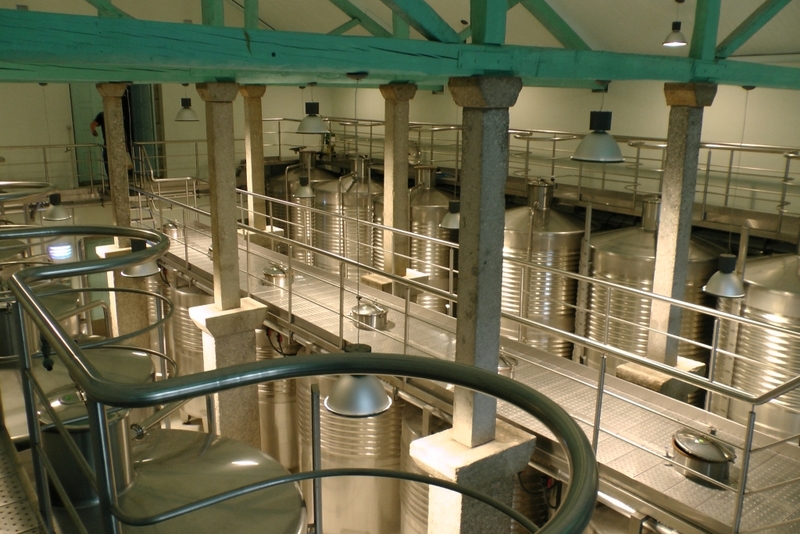 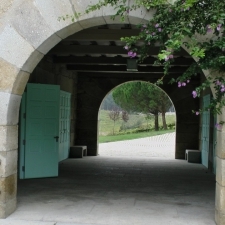 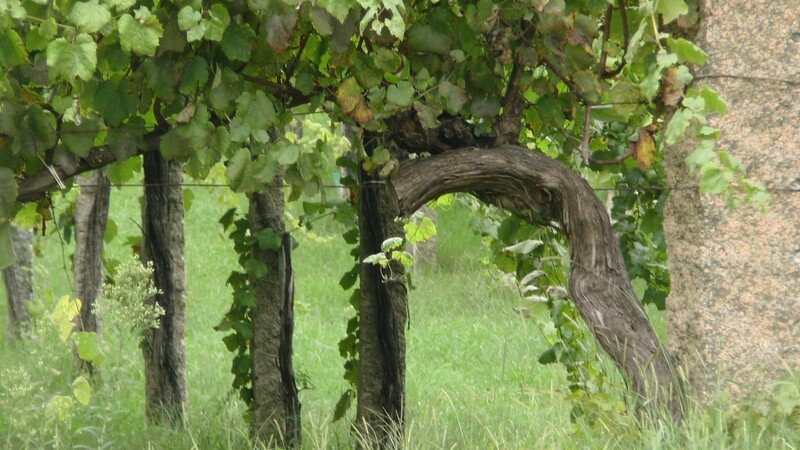 This boutique winery is owned by the large cooperative winery Adega Condes de Albarei. 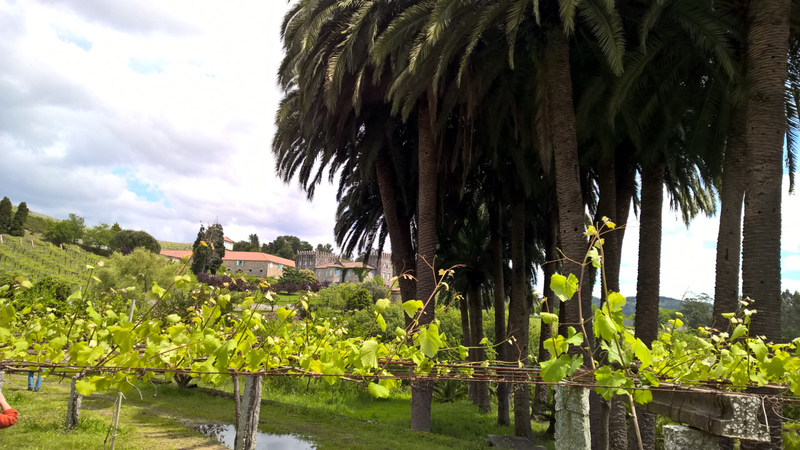 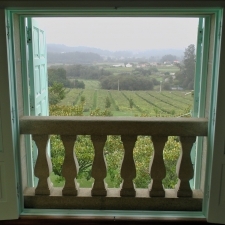 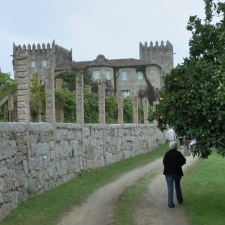 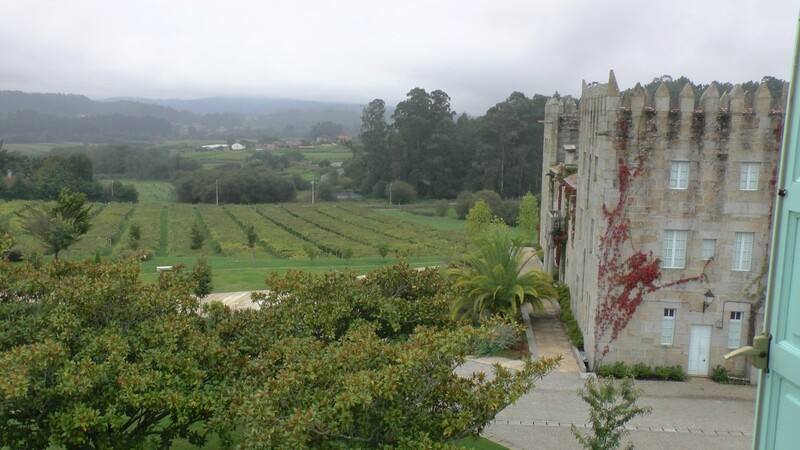 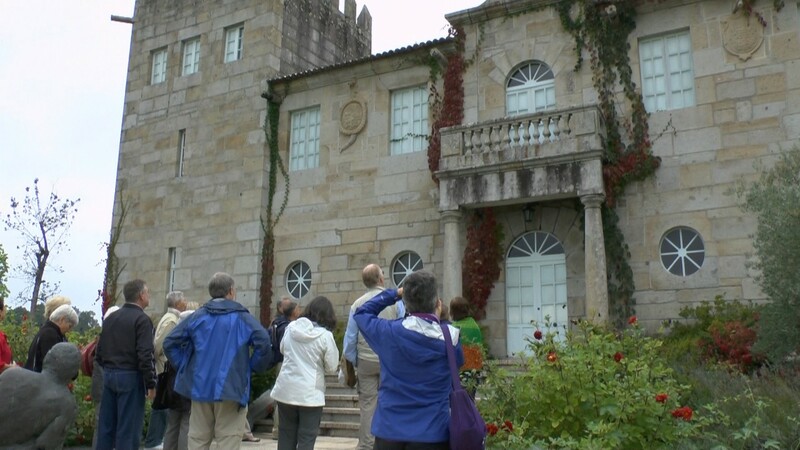 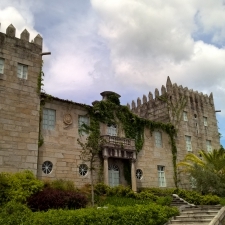 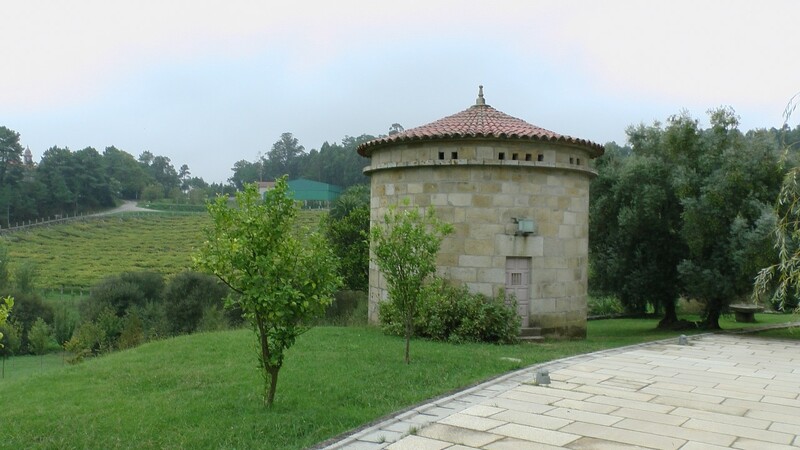 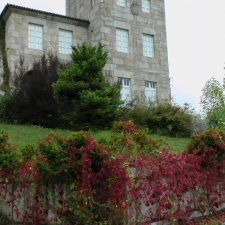 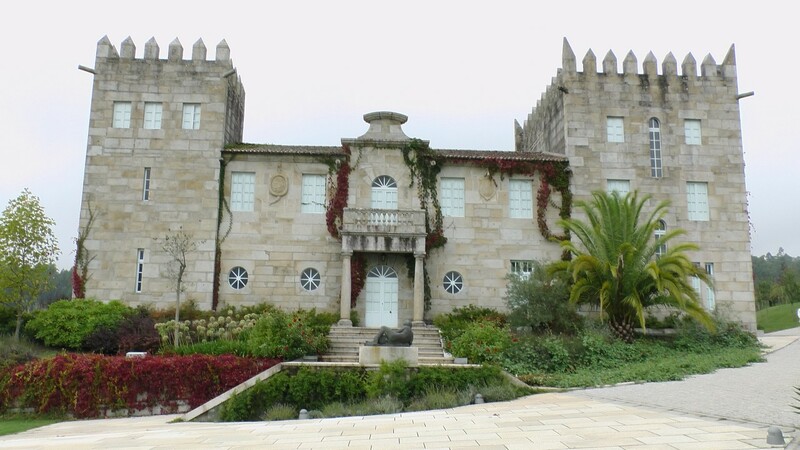 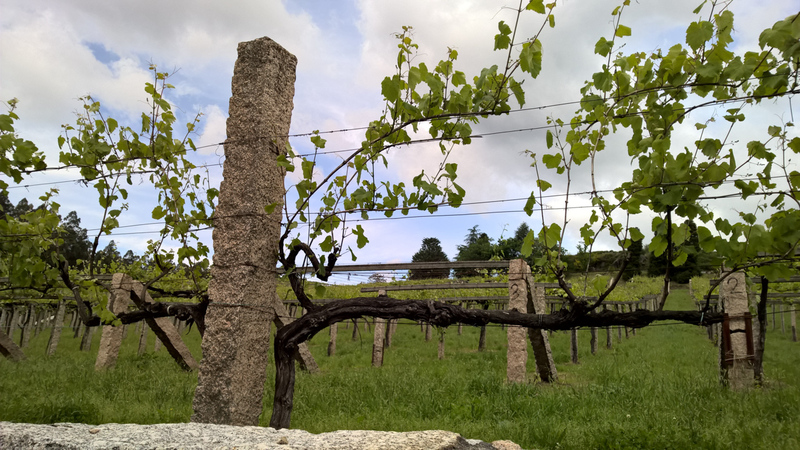 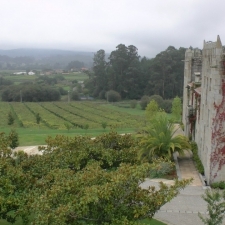 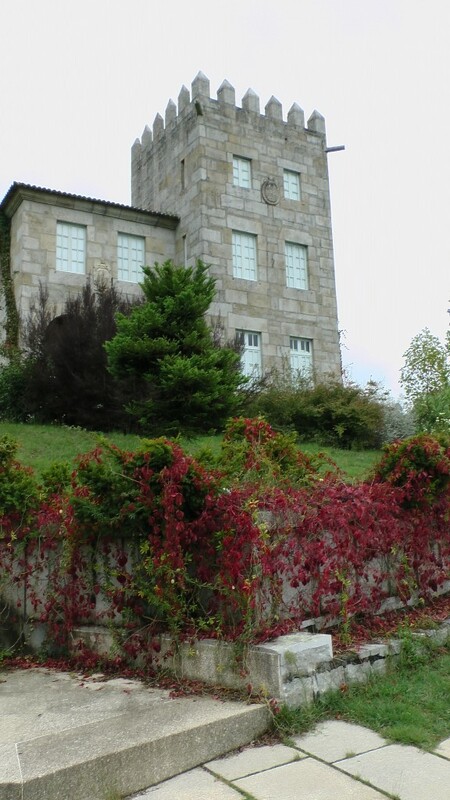 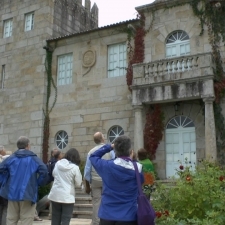 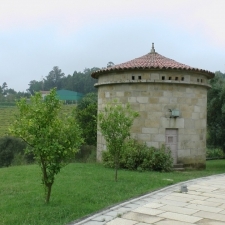 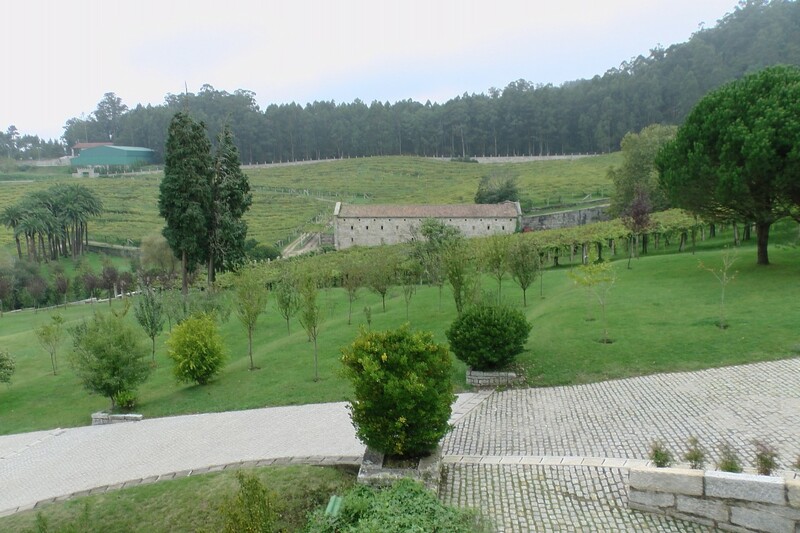 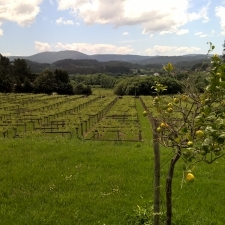 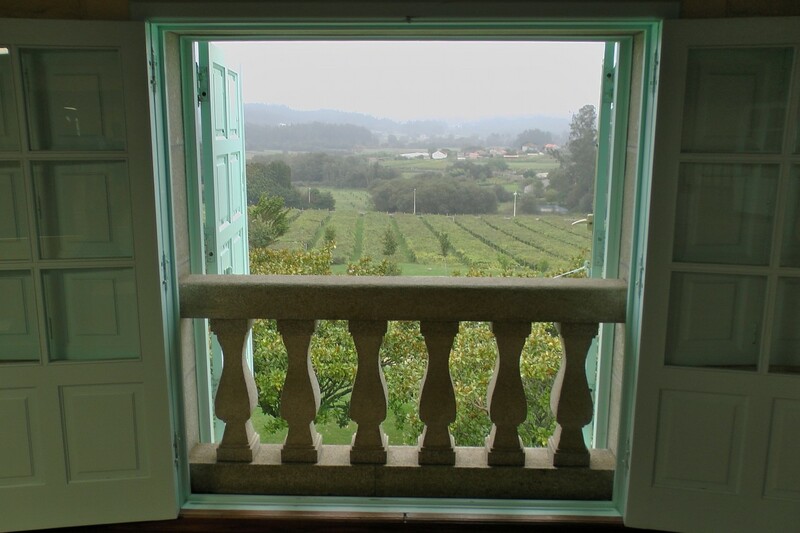 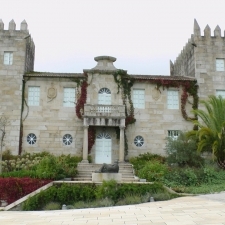 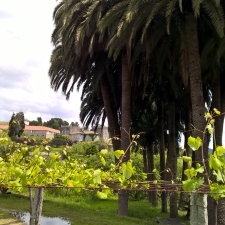 They bought this Galician Pazo (Manor House) to make high-end albariño from the privately owned vineyards. 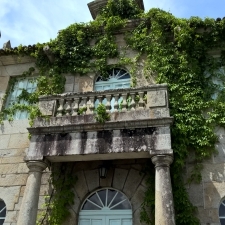 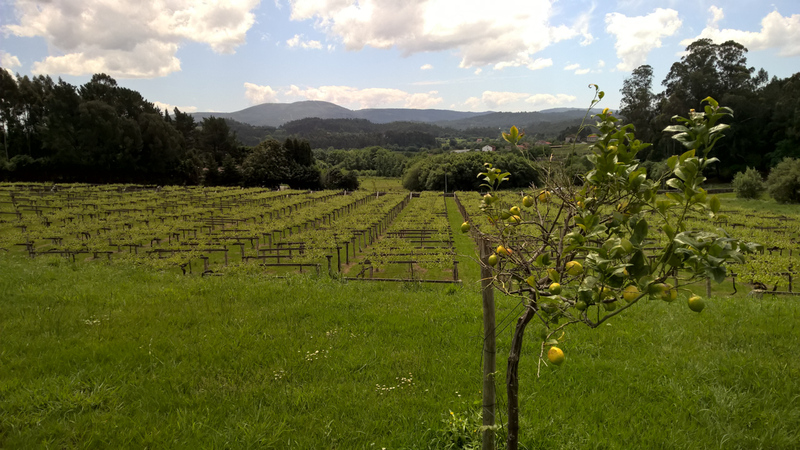 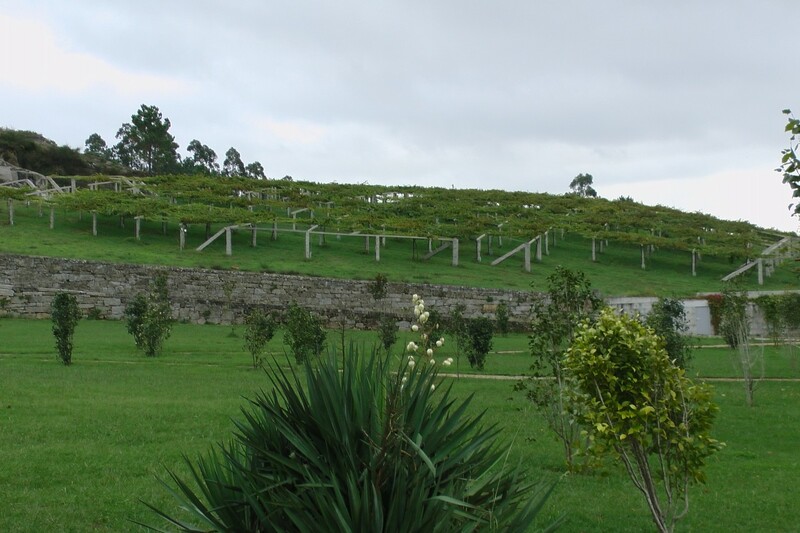 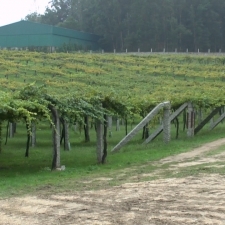 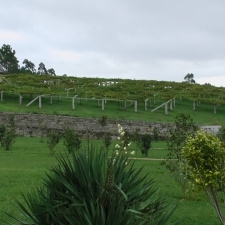 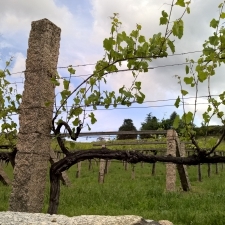 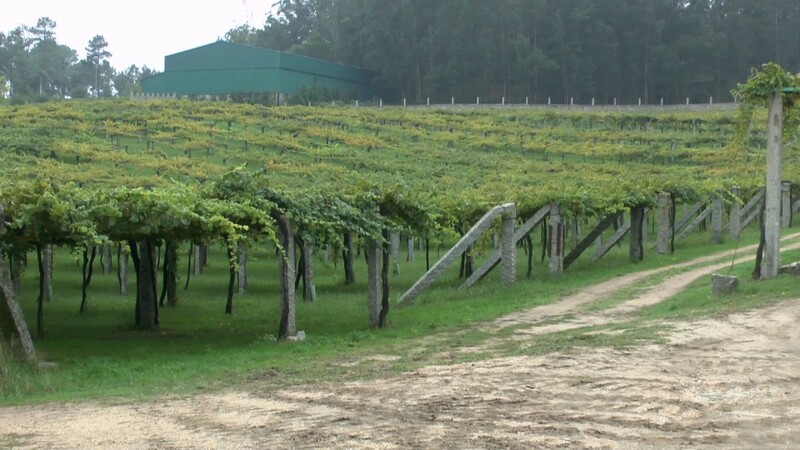 They only produce around 30,000 bottles a year of the Pazo Baion Albariño wine whereas the father cooperative winery Condes de Albarei make 3 million bottles a year. 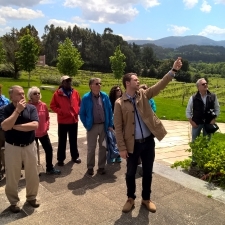 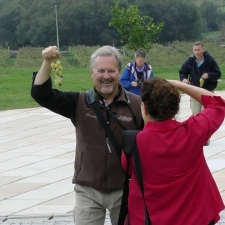 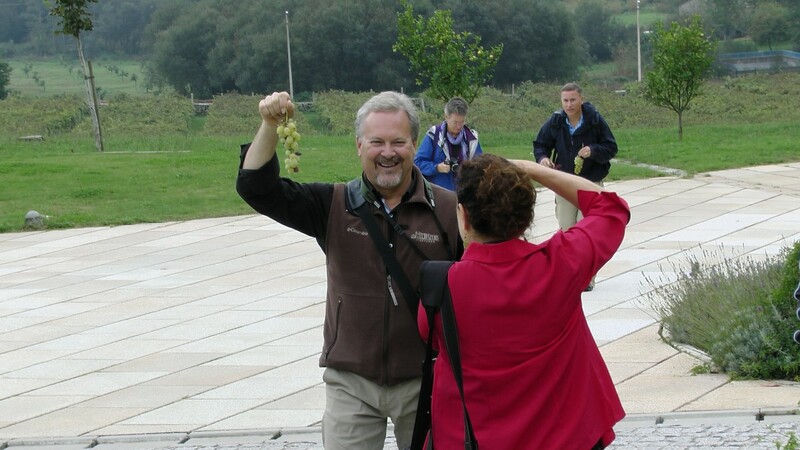 Xavier the General Director of the winery greeted us upon arrival, then our guide Carmen took us on a tour of the facilities explaining about how their Albariño wines are elaborated. 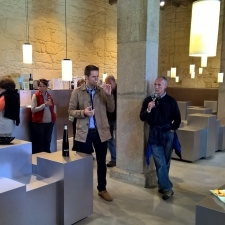 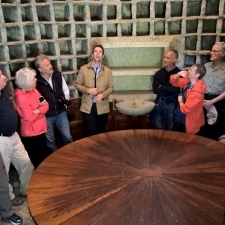 Ending the tour in the modernism style tasting room an excellent space for VIP wine tastings. 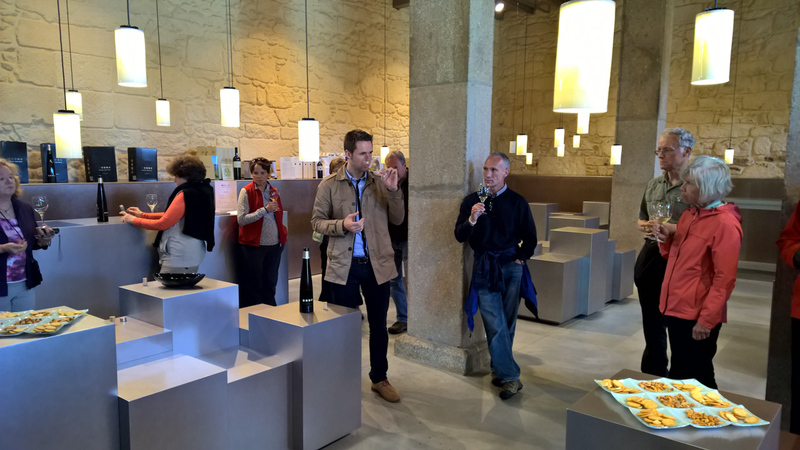 We got to taste 3 different Albariños made by Pazo Baion and Condes de Albarei. 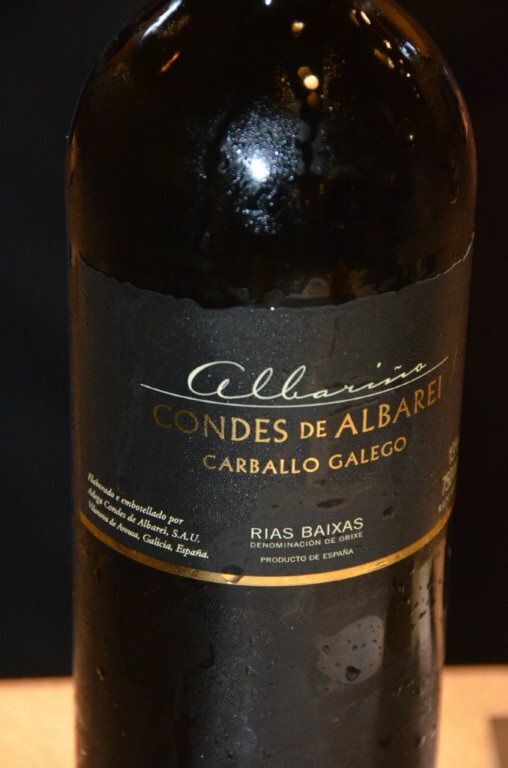 Starting off with the Albariño made from the cooperative winery Condes de Albarei a light aromatic citrus-tasting albariño which goes great alone or with a meal. 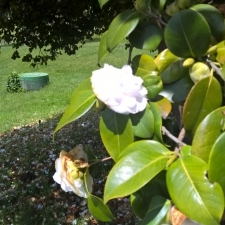 It is fresh, well-balanced, full and elegant. 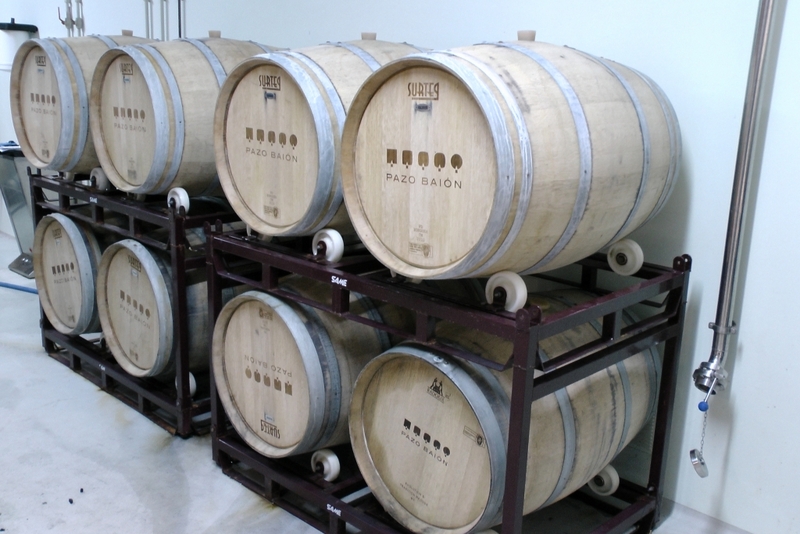 The second wine we tried the Pazo Baion made with the privately owned vineyards a very selective wine with a bit more body and complexity, on the nose it is floral and citric with a silky and persistent taste. Our third and last wine was the Carballo Galego offering high aromatic intensity of ripe fruit, citrus and spicy oak notes, with a powerful taste, satiny and very long. 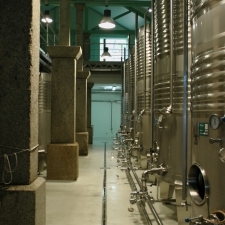 Bottles remain in a wine rack for several months for the wine to reach its full maturation, hence achieving the optimal consumption conditions that will persist over a long period. 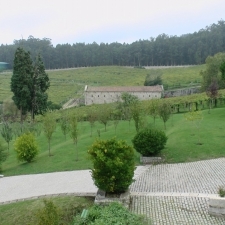 Unlike the first two wines tasted this wine is fermented in new oak barrels –well toasted-, the wine remained resting on its lees for several months, subject to periodical stirring or battonâges and successfully blending the strong character of this grape with the sensations released by the oak wood and the aging. 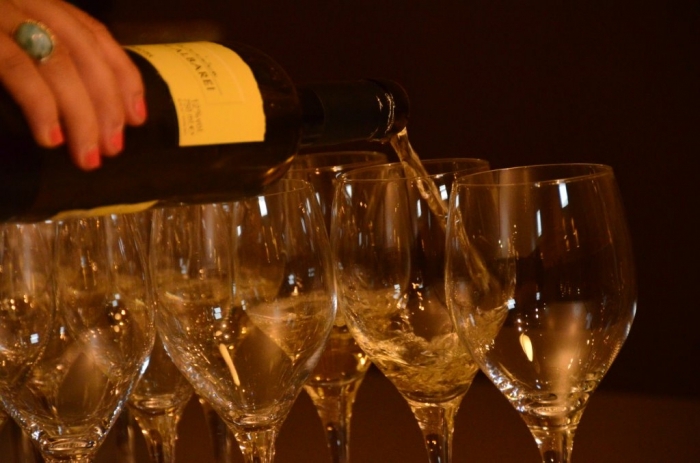 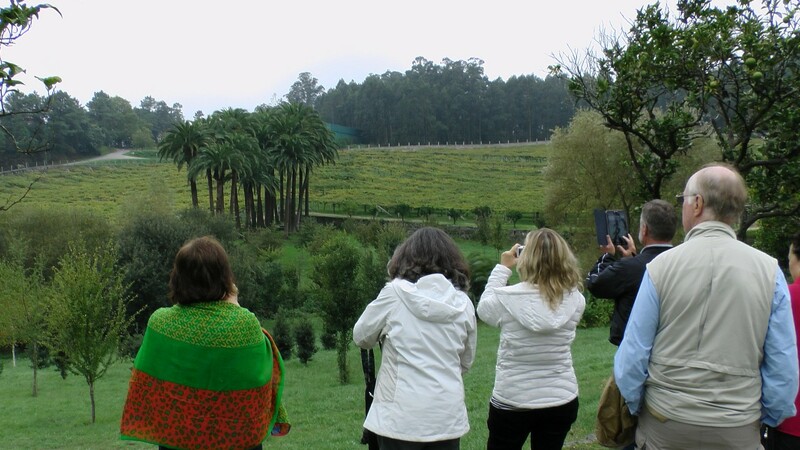 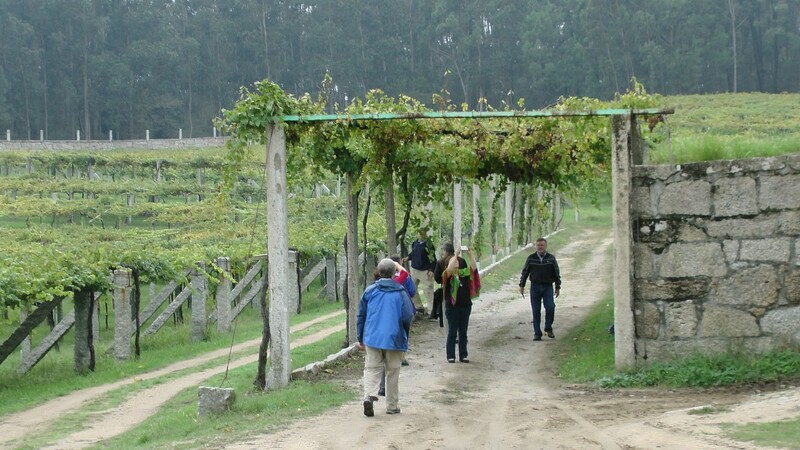 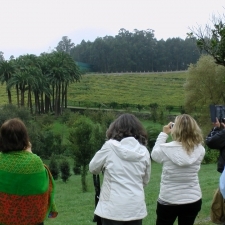 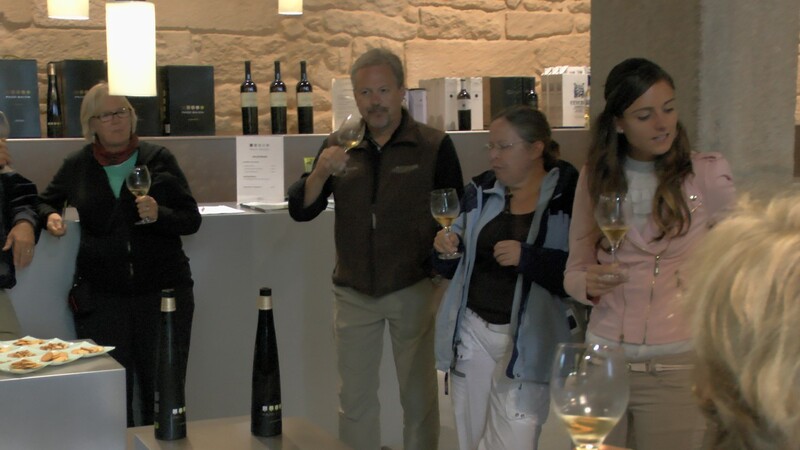 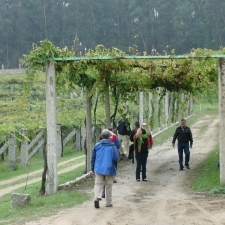 An exceptional tastings of three well-made Albariño wines. 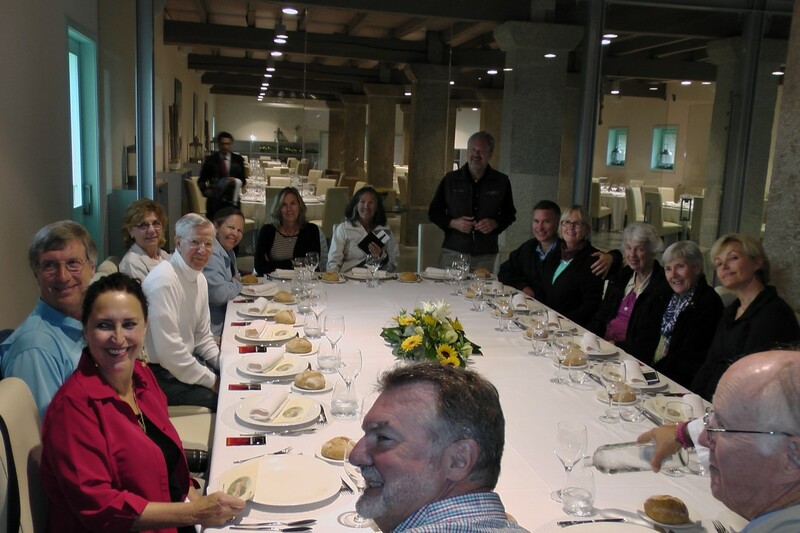 Ending our tasting-tour we made our way to the dinning room of the winery which we had exclusively for our group today. 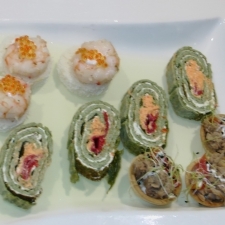 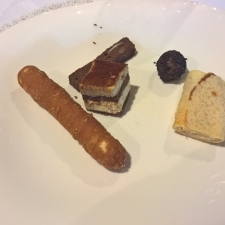 We had a special pre-arranged 6 course gourmet menu for the group. 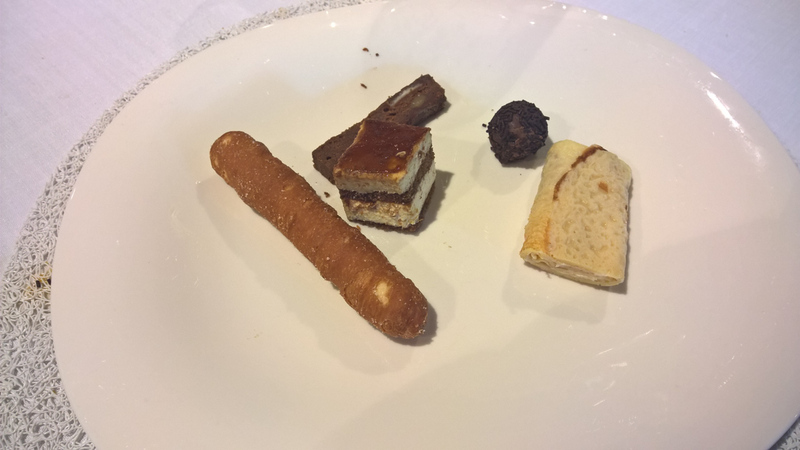 Starting off with appetizer dishes… Cured Iberian Ham and Arzua Cheese, Baby Scallops Galician Style, Octopus Arosana style… The main course was Rice with Lobster & Clams… Dessert was a mix of filloas (crepes), cañas de crema (cream pastry tubes), tarta de queso (cheese cake)… All of the courses were accompanied by the Pazo Baion Albariño wine ending with a Spanish Cava alongside the dessert. 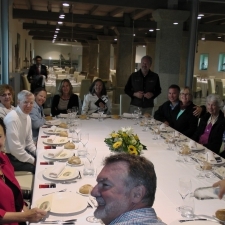 Can’t forget the coffee and Aguardientes (Fire water liquors) at the end a great closing to the meal. 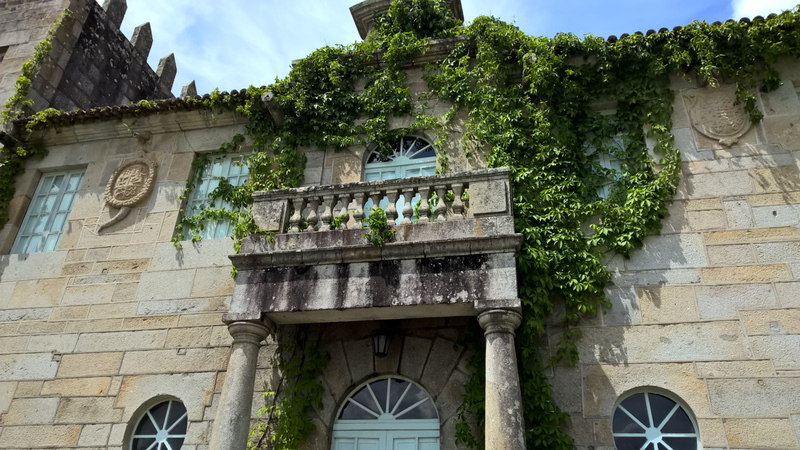 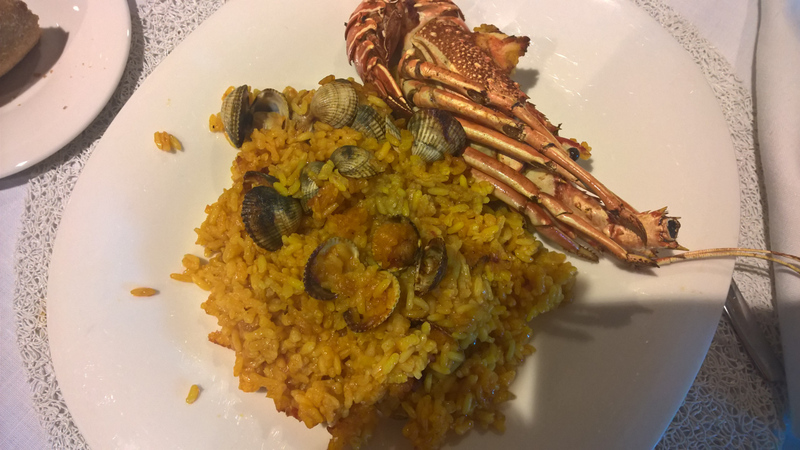 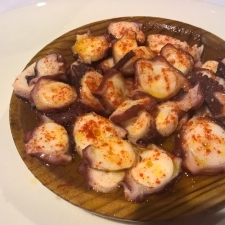 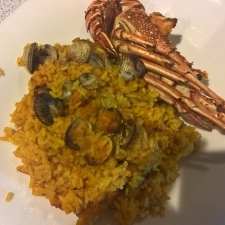 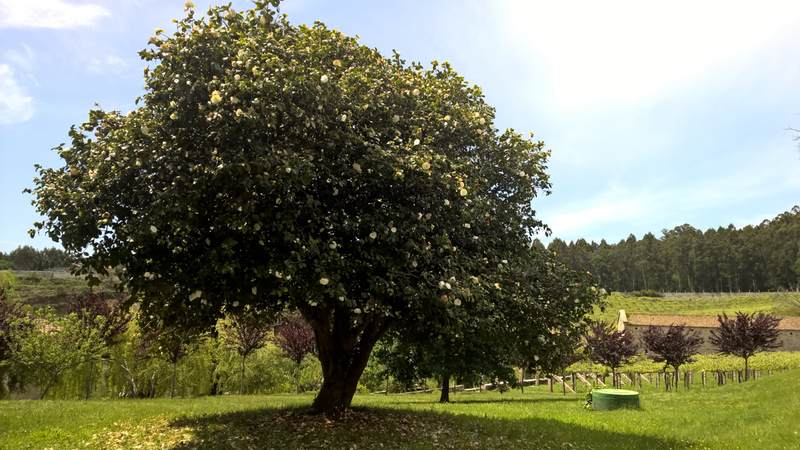 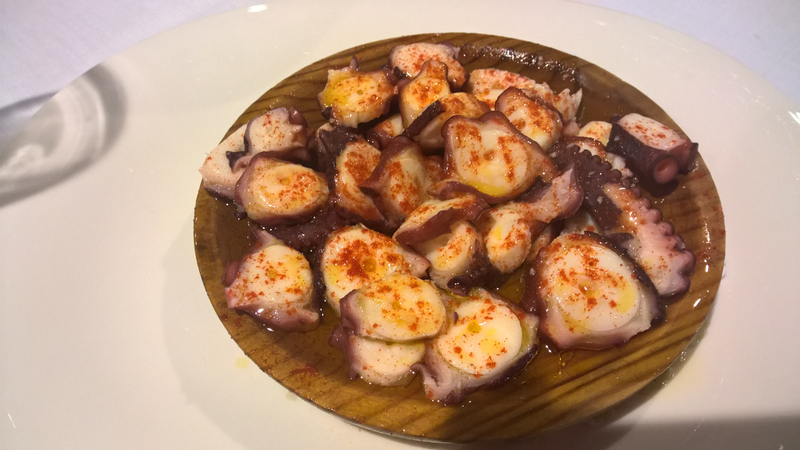 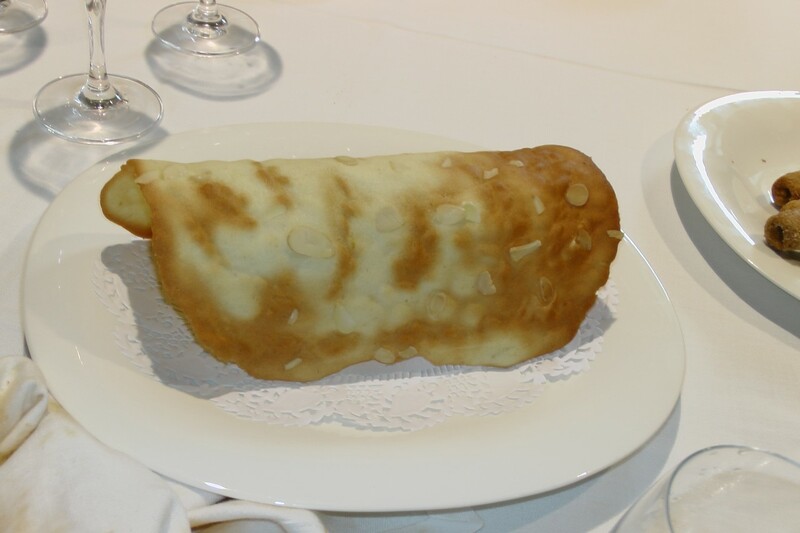 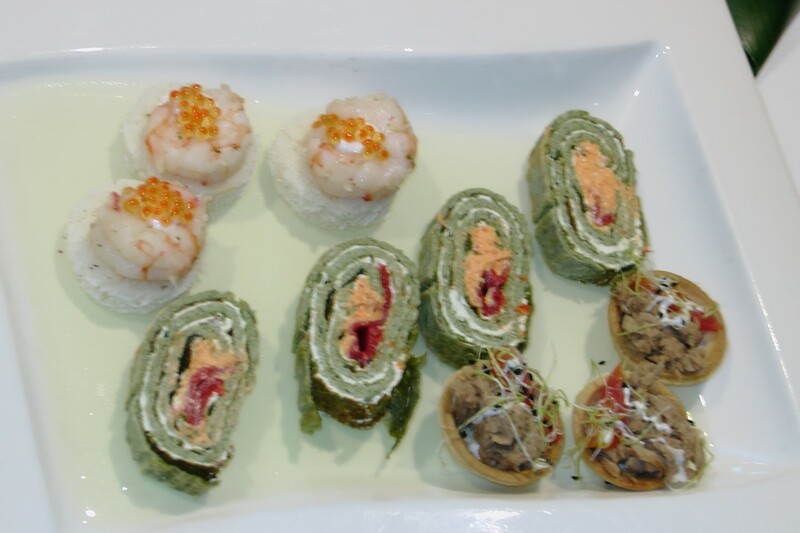 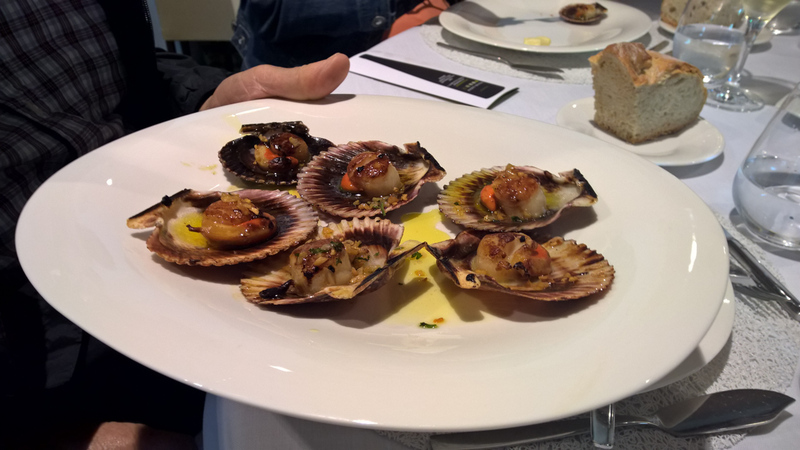 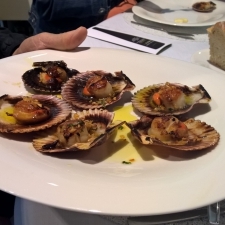 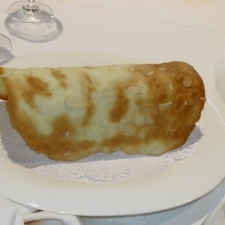 A great meal and good times which is our goal for people visiting this beautiful land… Rias Baixas a Gastro Paradise in Galicia, North-western Spain. 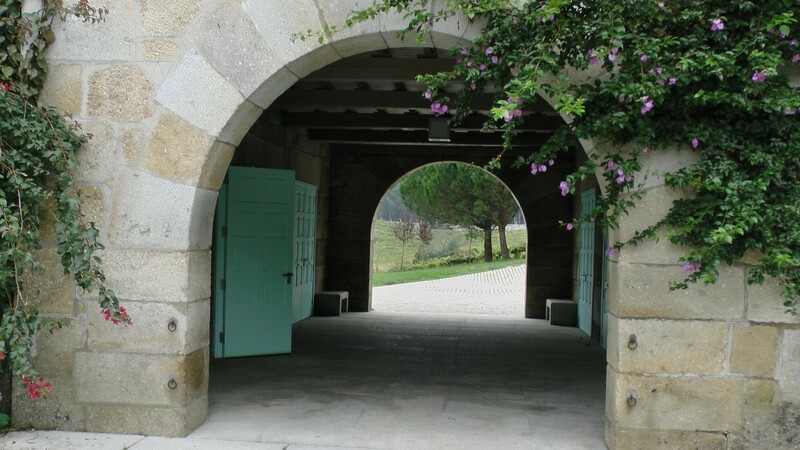 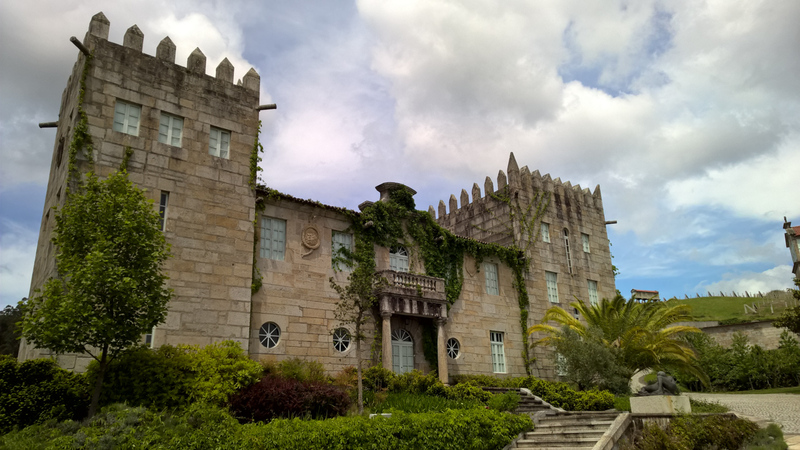 Pazo Baion – A Boutique Cellar: The exclusive cellar of Pazo Baión is a hundred year old jewel erected under the signs of the modernism style. 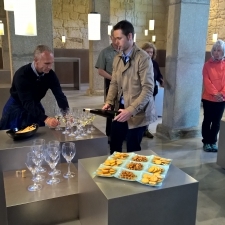 In the purest art déco style, with contemporary forms and materials aluminium, stainless steel, clear wood, glass, solid lines and colour that take us to a unique place of absolutes to the micro-universe of Pazo Baión. 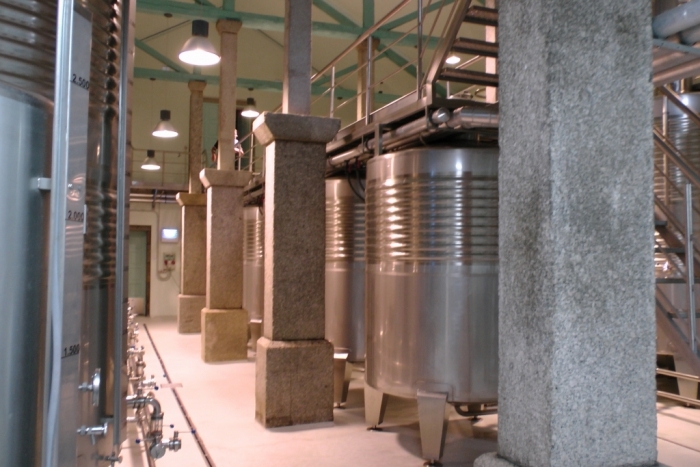 The Technical Direction of the wine making project is under the supervision of José Hidalgo, one of the most famous and most respected wine makers in Spain, and Lucía Carballeira. 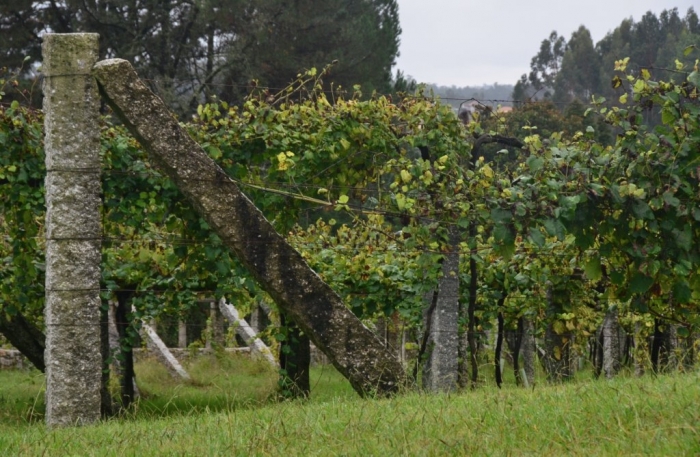 A brilliant pair, with experience and knowledge of the new cellar style and responsible for the range of wines and the development of the vineyards. 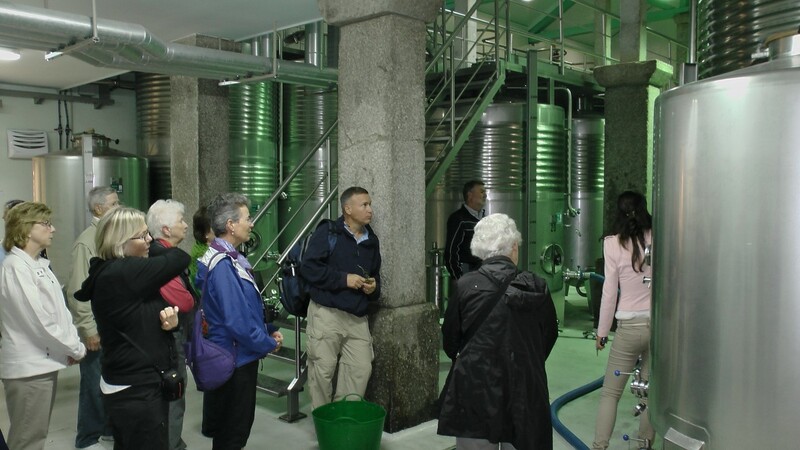 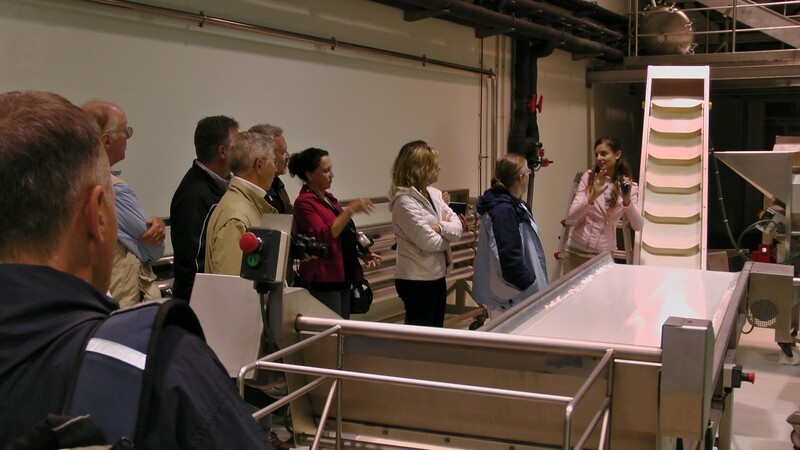 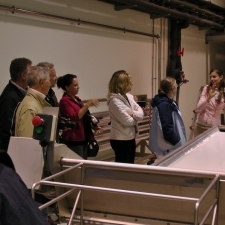 Together with them, a young and professional team will operate the daily activities in one of the most fascinating and advanced cellars in the wine world.